Having a large and tall table on which to spread out and make stuff is often at the top of crafters’ wish lists. Craft tables with ample storage can get pretty pricey, and sometime it is not easy to find one to meet all your needs. 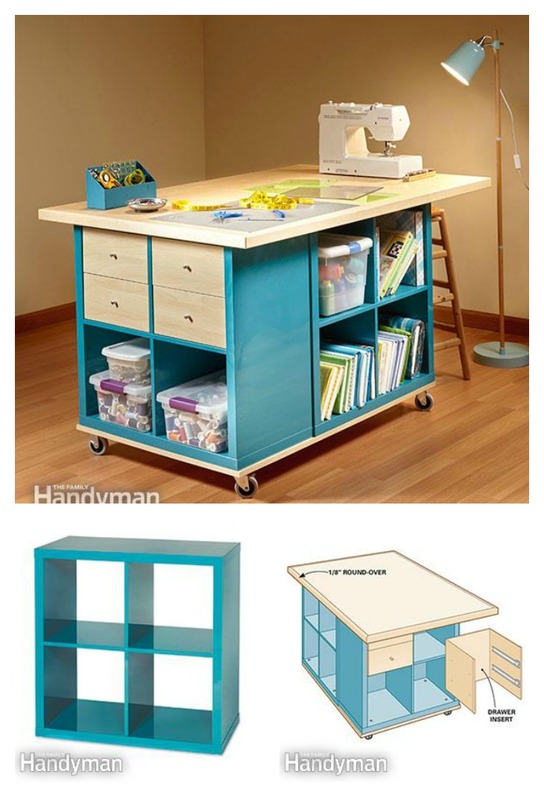 If you are facing the problem, this DIY Craft Room Table With Ikea Furniture is a perfect option. This awesome project table that has great storage on either side. You can just hack the Ikea Kallax shelf to build a worktable with a huge surface and easy mobility by sandwiching three small storage units between a base with casters and a plywood top with hardwood edging.